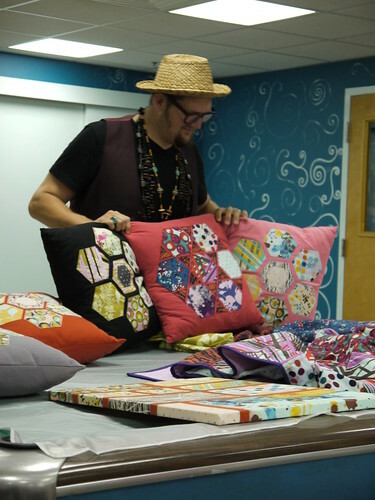 The Philly Modern Quilt Guild was lucky enough to have Jay McCarroll as a speaker last week. Jay couldn’t have been nicer, answering a ton of questions about his creative process, his fabric lines, and of course Project Runway. 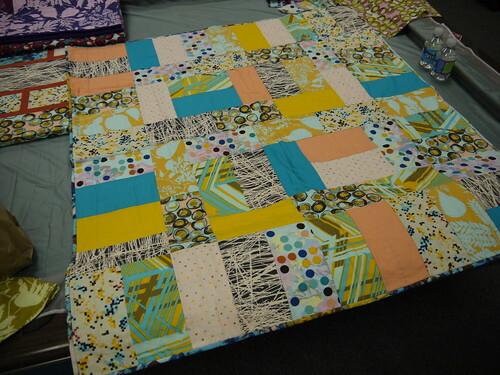 He brought along a number of projects made with his new line of quilting fabric, ‘Habitat’. 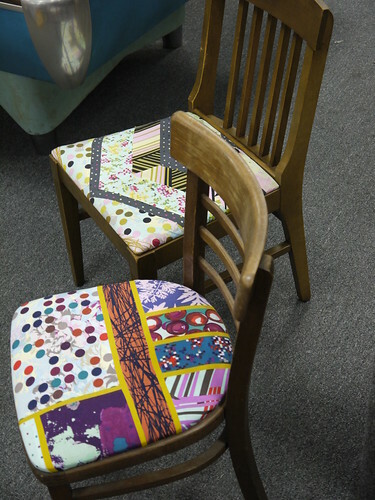 The reupholstered chairs that Jay brought along were my favorite. 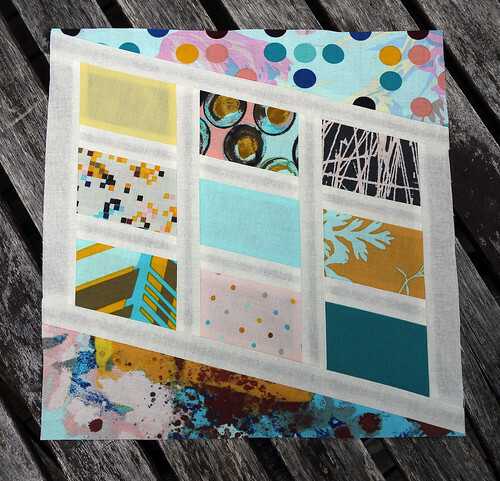 This quilt, made with my favorite colorway in the ‘Habitat’ line, was made by the talented staff at Spool in Philadelphia. These pillows are a great way to use small pieces to make a big statement. For those of you who are admiring Jay’s necklaces, he made them! 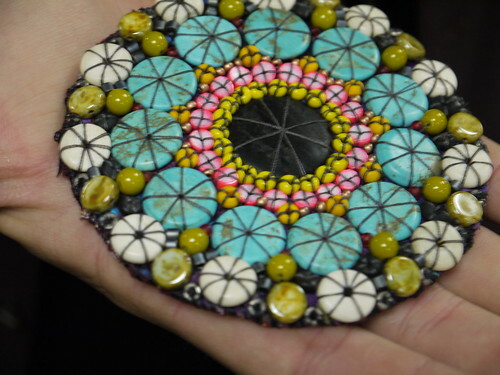 He kindly let me take a close up of the pendant. Just gorgeous! Jay was also at our meeting to launch a challenge using his fabric. It’s a quick turnaround — only two weeks to design and submit. 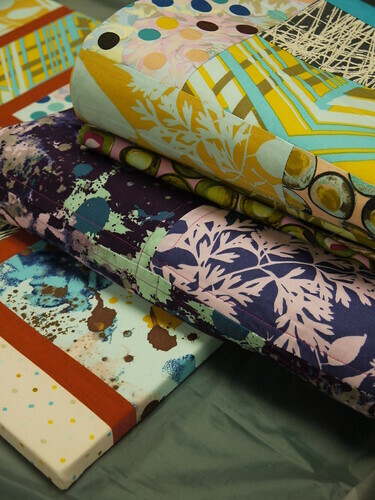 Free Spirit generously donated fabric for us to use. 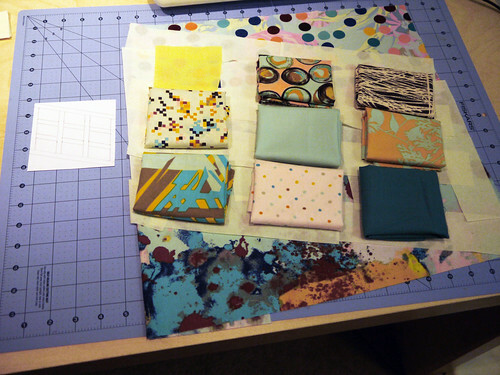 By the luck of the draw, I selected the colorway that I like the best, in blues, yellows, and peach. I’m really excited to get started on a block. I have a few ideas rattling around… look for a future post with my block ideas. Many thanks to Jay for coming to our meeting! He’s a funny, down to earth guy, and it was a pleasure to hear him speak. Jay McCarroll Speaking at PMQG! Jay McCarroll, the winner of season one, has always been one of my favorite designers to come out of the show. Remember the headphones for the final runway show? As a knitter, I was tickled that he incorporated serious knitwear into his final collection. That blue sweater was to die for! 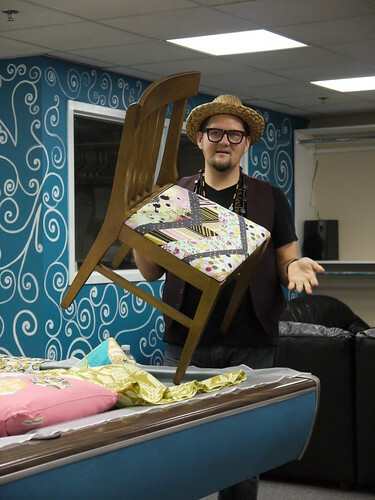 He is coming to promote his newest line of quilting fabric — Habitat — and to launch a nationwide Modern Quilt Guild challenge. How gorgeous is this collection?! For more details, check out the PMQG post here. Seats are limited, so if you’re in the Philly area and you would like to see Jay speak, you need to contact the guild. 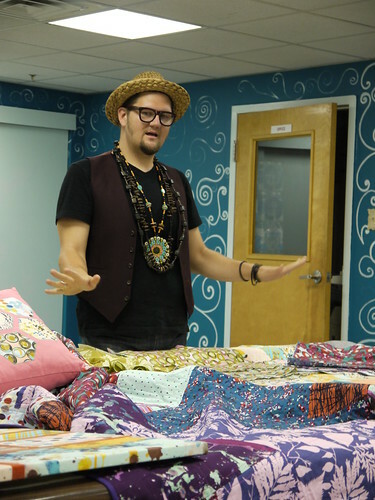 Blogging Project Runway also made mention of Jay’s visit!